Suspension super-brand Öhlins have refreshed their suspension fork and air shock range with new products and a host of updates for 2019. 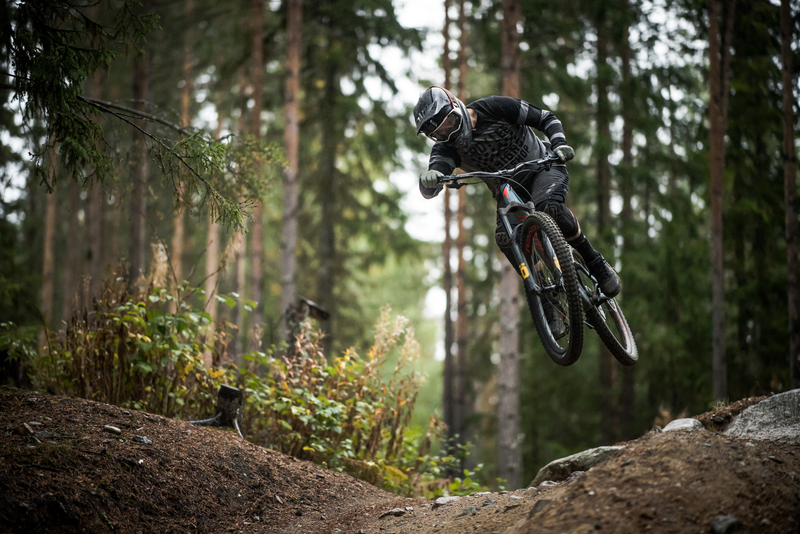 Oli Forster jumped on a plane to Sweden to meet the new gear for himself. After capturing the imagination of racers and riders alike with the TTX 22 coil shock, Öhlins entry into the air shock and fork market failed to quite deliver the same reaction. Yet Öhlins have been quick to acknowledge that trying to accomplish what their competition has achieved over the past two decades, and do so in just three years, was ambitious but far from impossible. 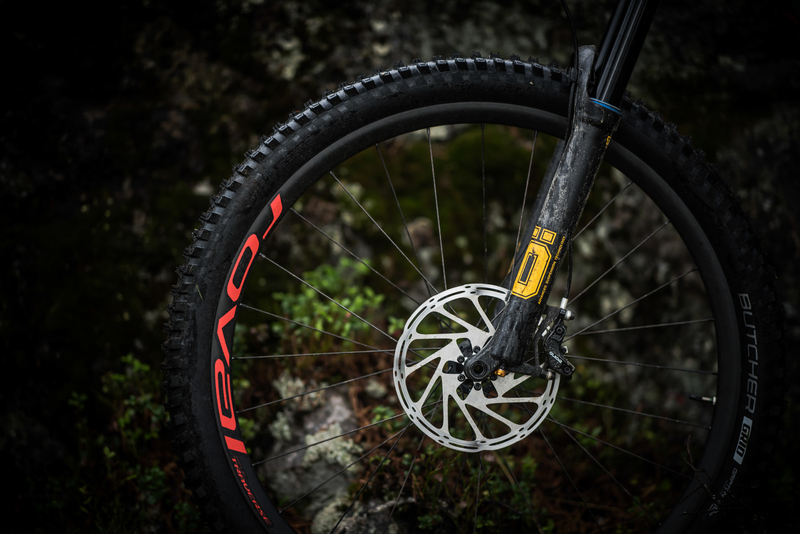 With over 40-years experience manufacturing some of the most acclaimed suspension in the motorsports industry, the team at Öhlins had a clear blueprint for what they needed to do for their 2019 mountain bike line up. Engaging an accelerated R&D program alongside a brand new manufacturing facility in Taiwan (only the TTX Coil is made in Sweden), Öhlins have come out swinging with two brand new forks, and a new shock. 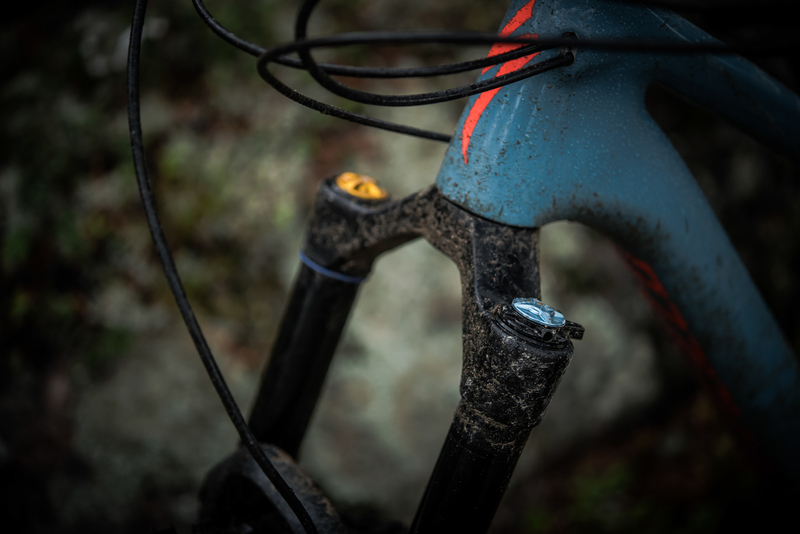 Öhlins’ first release of the year, the aptly titled ‘DH Race Fork’ – launched earlier this summer – is now available to the public with no less than three world championship titles already to its name. 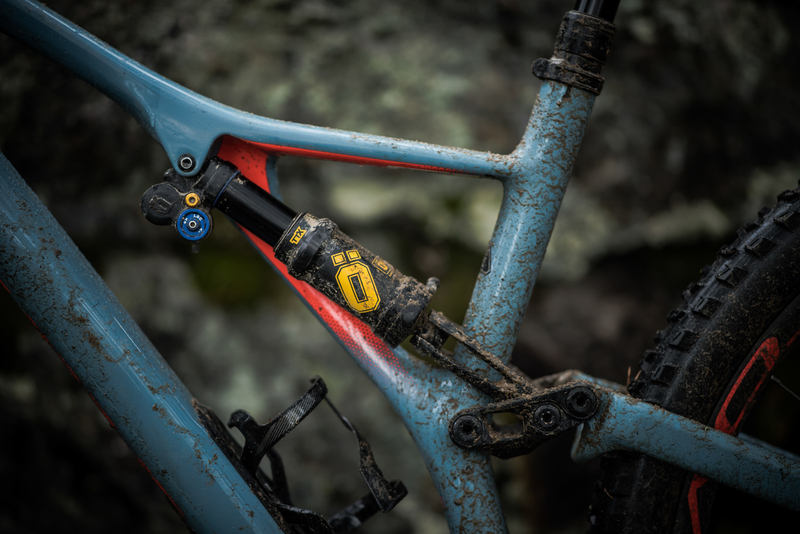 Having spent some time aboard Commencal’s World Cup smashing Supreme 29 packed with a TTX Coil 22 in the back and the new DH Race fork up front this past summer, I can testify to the fact that Öhlins are now well and truly in the fork game. 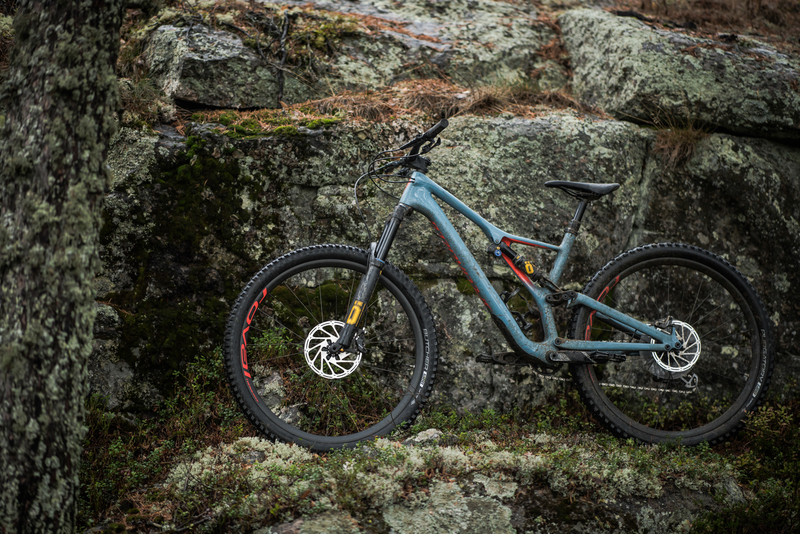 The Supreme 29 coupled with Öhlins’ latest gravity dampers made for an eye-opening if mildly terrifying concoction of raw speed and all-out potential. 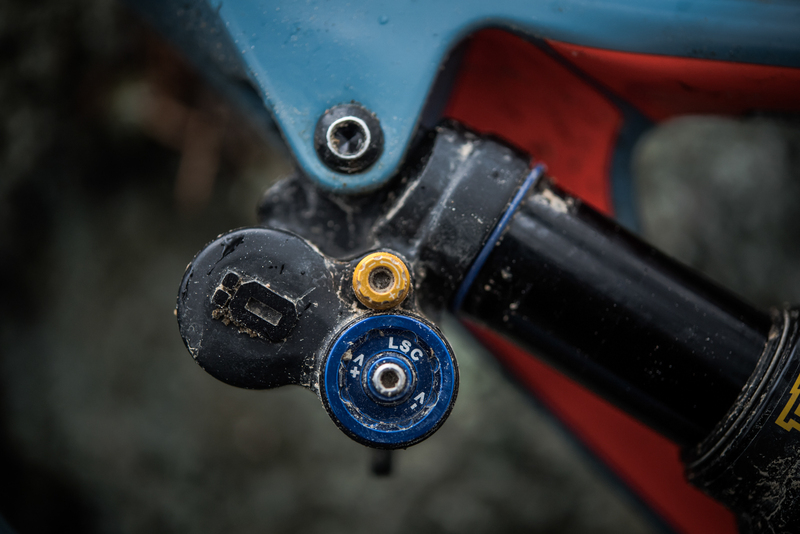 Whilst my abilities are far from those of Loic [Bruni] or Amaury [Pierron], the DH Race Fork dished out an incredibly balanced ride, offering both grip and support in spades. 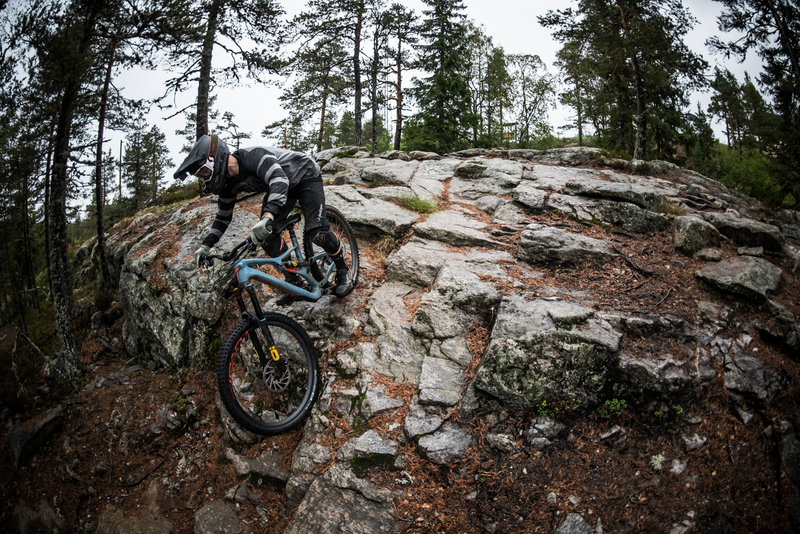 I wasn’t just impressed with the new fork, but the venue where we tried it out – the Järvsö Bike Park. Located approximately three hours north of Öhlins’ base of operations in Stockholm, its modest elevation of 300 meters (about 985 feet) packs a serious punch. While its scale and demeanour are more BikePark Wales than Whistler Bike Park, it’s relative isolation in a sparsely populated county (think less braking bumps but lots of rocks) coupled with a chairlift and with much of the trails built by the guy behind those in Whistler (Tom Pro from Gravity Logic), it’s a great place to get those laps in and an ideal place to ride new product. 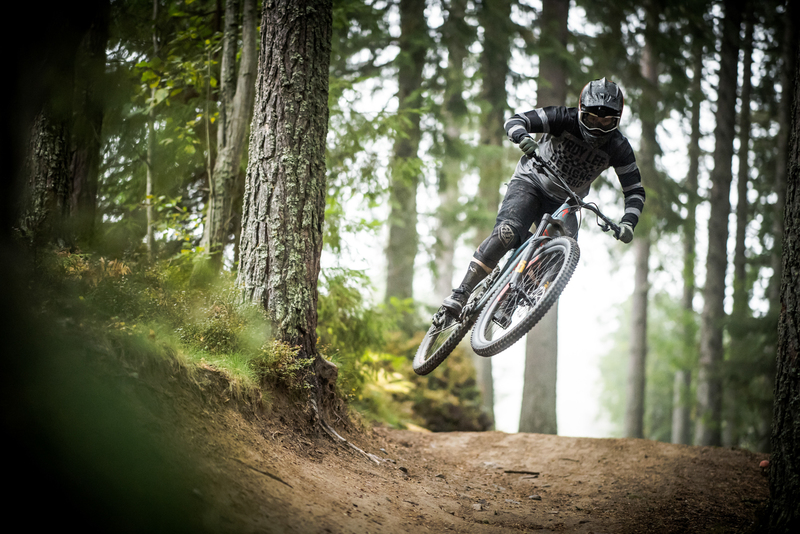 With a fleet of bikes decked out with the new RXF 36 Trail fork and TTX Air shock, I settled on the less-than-aggressive (we were in a bike park after all) and more trail specific Specialized Stumpjumper Expert decked with 29in wheels. Sporting 150mm of travel up front and 140mm in the rear, a 66.5-degree head angle and 445mm reach (size large – I’m 5’9.5”) – a far cry from the size large Supreme 29 I last piloted here. Be that as it may, I formed a bond with the Stumpy and spent all day having a blast lapping many of the trails I’d previously ridden on one of the world’s fastest DH bikes. 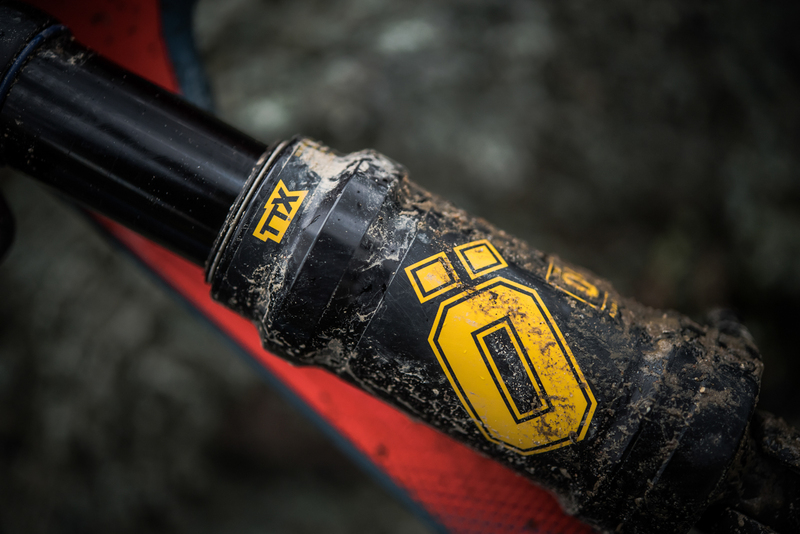 Following closely behind the championship-winning DH Race triple clamp fork, is the new RXF 36. 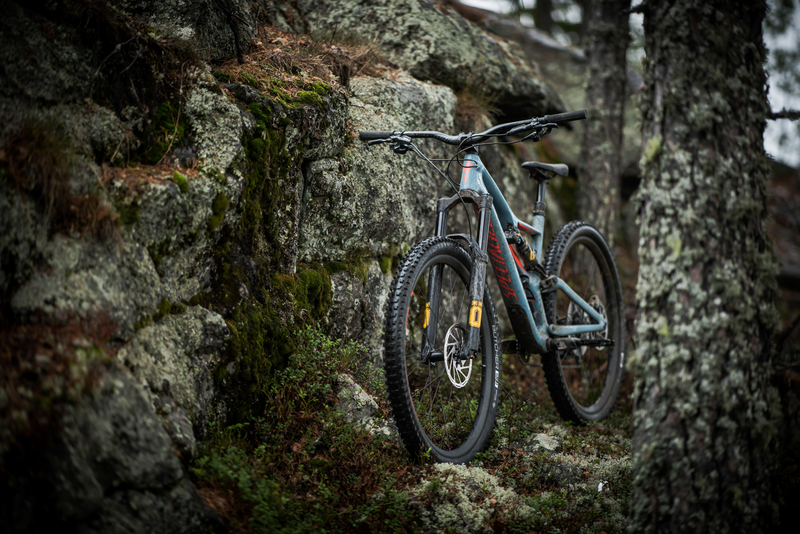 Taking the same TTX damping system found in its bigger brother and utilizing it in a more trail and enduro focused single crown 36mm chassis, the all-new RXF 36 is available in both air and coil with the latter proving to be Öhlins’ most popular option. With only a minor aesthetic overhaul next to the older RXF 36 fork, the new offering does have different lowers (new dropouts and a larger arch offering increased tyre clearance) to match those new graphics, which let’s face it, are a distinct improvement over the old ones. It won’t take long for every aftermarket graphics company to offer them in every colour under the rainbow, should yellow clash with your bike. The older Trelleborg wipers have been ditched in favour of the more universally preferred SKF wipers, which are easy to spot as they’re bright blue. 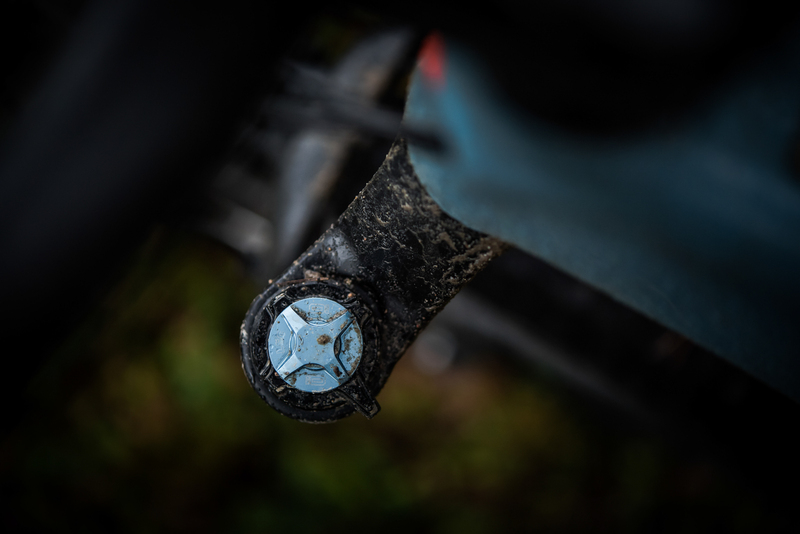 Reducing friction is a reoccurring obsession for the engineers at Öhlins and their customers will most likely thank them for as they put the miles in come rain or shine. The CSU (Crown, Steerer & Uppers) has also seen a boost in stiffness while reducing the potential for creaks to appear and annoy – an issue which is becoming quite the plague in the long travel, single crown world. Inside, Öhlins have ditched the older 22mm piston (in the damping cartridge) in favour of a smaller 18mm option, aptly titled the TTX18 Damping Cartridge (which like nearly all of this fork, retro-fittable into the old RFX), improving small bump sensitivity in the process. The popular coil option now features a lighter 100% linear spring (10% over the old design and not all springs are truly linear) with more spring rate options to chose from. Using the ‘pin system’ the travel can also be adjusted between 140 and 170mm, although it’s not something openly advertised by Öhlins. New graphics aside, the TTX Air is a completely new shock sporting a host of improvements and updates. Joining the tried and tested TTX damper is a brand new air spring design (that you can service without opening the damping system) and a radical overhaul of the seals and lubricants used – the TTX Air is a direct result of lessons learned from the older and somewhat troubled STX 22 air shock. At the heart of the new air spring: a more balanced negative air volume delivering improved sensitivity and support without increasing air pressure to get the right sag. Less air pressure also means less friction. New seals across the shock help balance preload, further reducing friction (and minimizing unwanted wear while retaining air pressure) combined with new ‘dynamic surfaces’ and lubricants to further minimize that all-important friction. Less friction means improved performance and longevity – two things that if compromised, regardless of damping, will significantly reduce the performance of your air shock. This is especially important given the side loads experienced by progressive riders throwing their bikes into corners or in extreme instances, where the shock represents a structural element of the frame. I quickly got the Stumpjumper to a happy place – tyre pressure dialed in (23 front and 25-PSI rear) brake levers swapped to ‘moto’, cockpit feeling as comfy as possible, go-to Deity TMAC pedals bolted in and some thinner grips acquired from a size small Stumpy and hastily installed before anyone noticed – I hate thick grips. The faff was then focused on why I was here – the dampers. 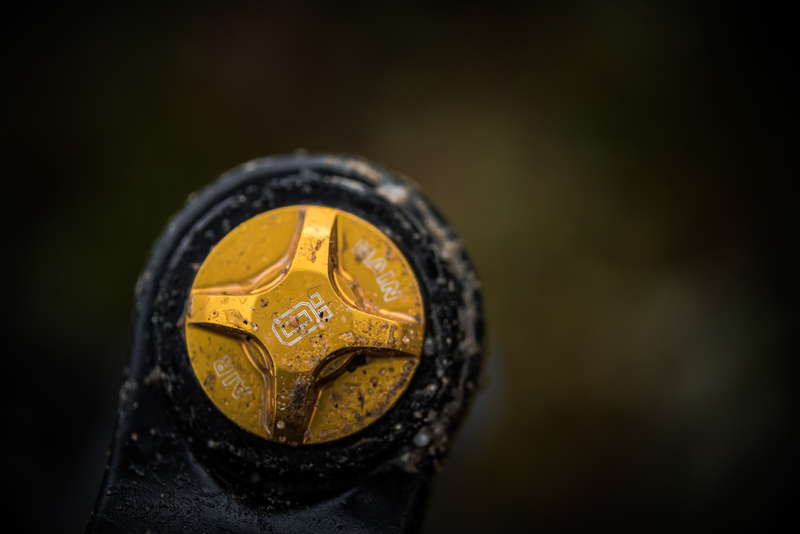 With the sag set, Öhlins’ MTB product manager, Alex Boyle, quickly set about dialing in the optimum settings for the Stumpy and we were off. Given that I’d spent a day here earlier this year, I knew what to expect on the hill, but exactly how this radically different bike would react as opposed to the DH monster I was on last time, was evidently on my mind. Dropping into the first section of trail, littered with huge rock slabs, I was initially struggling to find my lines on the smaller bike with my feet bouncing on the pedals. This part of the track is especially rough and awkward, simply requiring better line choice on the smaller bike although tweaks to the suspension made later that day, improved things here too. The sensitivity and support I’d experienced on the big bike were replicated on the Stumpy – hardly surprising given the shared tech. If I had to choose between sensitivity or support, I’d chose the latter due to the simple fact that a sensitive, over-damped fork or shock can [sometimes] take valuable time to adjust to. Not so with the new Öhlins forks or indeed, air shock. Getting that balance isn’t easy to achieve but from what limited time I’ve had on the new Öhlins product, it’s up there with the best. Into the forest and the middle portion of the bike park – the more groomed jumps and berms were as I remembered. Charging into the black graded jump line, which perhaps isn’t as gnarly or as wild as the jump lines back home (think Black Mountains Cycle Centre), it is however still a black and will happily put you in the hospital. The last jump, in particular, was proving particularly tricky with the Stumpy consecutively sending me into a nosedive. 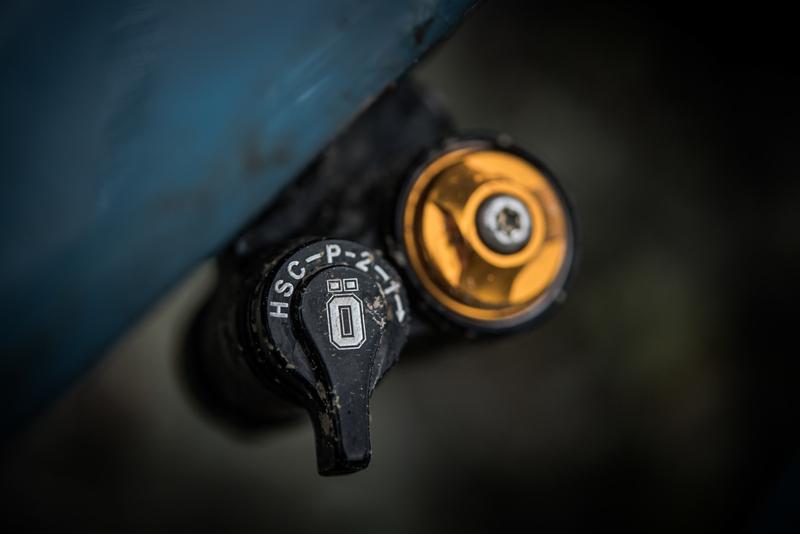 After a quick chat with TJ Hansen – Öhlins’ tech support head honcho and the guy the factory teams work with – we added some low-speed compression to the shock and a touch less rebound at both ends. Nosedives were done for the day and the bike became instantly calmer and more composed. The lower portion of the black trail trail spat you [at speed] into a series of rockier gaps. Throwing myself into black runs on a trail-specific bike wasn’t on my mind during breakfast that morning, but after a day (in the rain sans jacket or sensible clothing), I kept almost exclusively to the black trails. 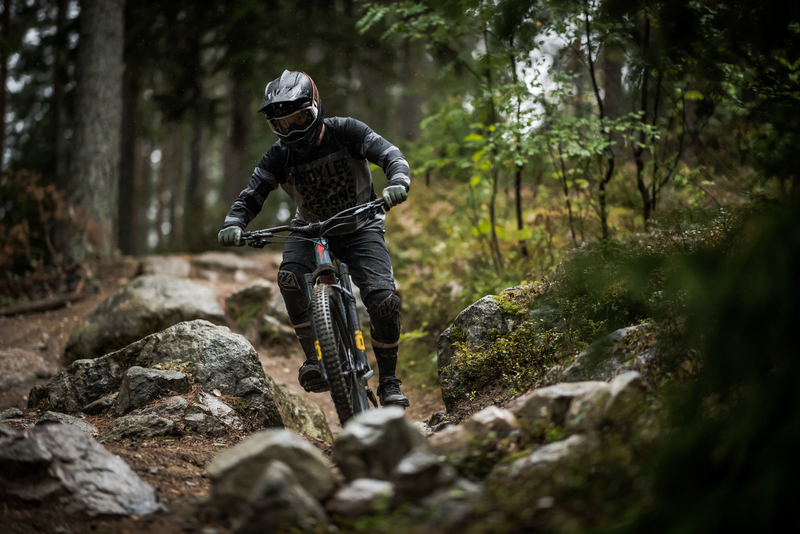 The gnarliest trail on the hill was tackled too – littered with Volvo sized rocks and drops, it was perhaps a foolhardy decision on the Stumpy but the bike did little to upset proceedings. It’s hard to fully immerse yourself in just the characteristics and performance of a new fork and shock on a bike you don’t know, running tyres you’ve never used before and in just one day’s riding. With excuses to one side, the one thing I can attest to is just how confident I felt on a 150/140mm travel bike, hitting pretty wild terrain, in the rain and far from home. 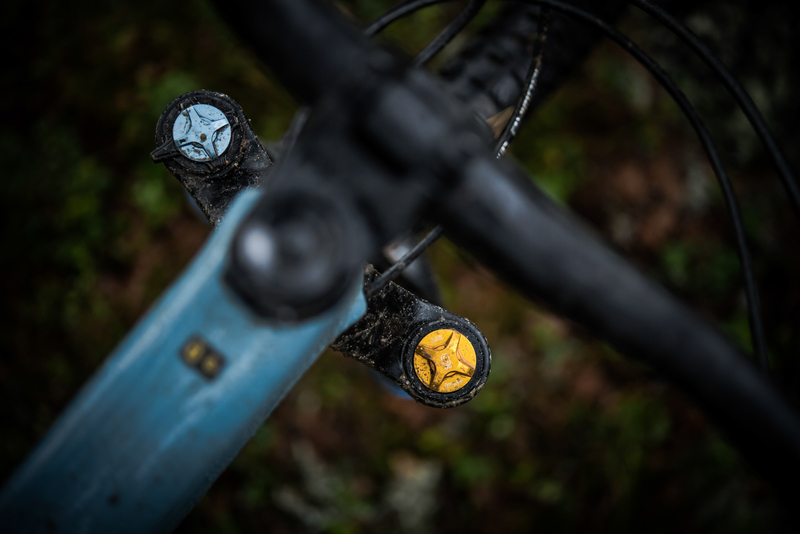 After the roller coaster ride Öhlins have been on since entering the MTB market, they are thankfully heading into 2019 with some exemplary products that could very well upset the applecart. Thanks to Öhlins for having us for their launch and to Oli Forster for making it happen.